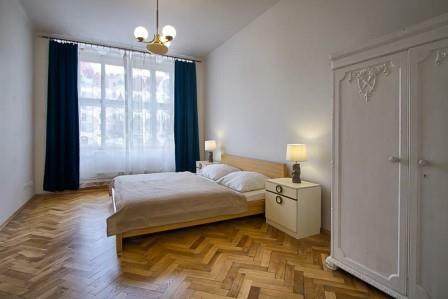 All the apartments are located nearby the synagogues and kosher restaurants. The kitchens are equipped with kosher dishes for cooking, plata, mecham etc. Air conditioning usually not needed old houses, thick walls. Heating is a certainty. 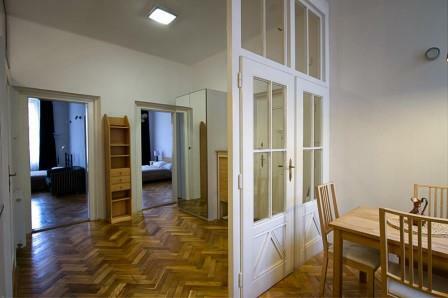 The best location in City center Jewish quarter of Prague Josefov: 3 minutes walk to synagogue. This is the most centrally located area in Old Prague. Each apartment has bathroom with bath or shower or Jacuzzi and toilet. Everyday cleaning, except Sabbaths and Chagim. Only 3-5 minutes walk to kosher restaurants. All the most important sights are in the neighborhood. 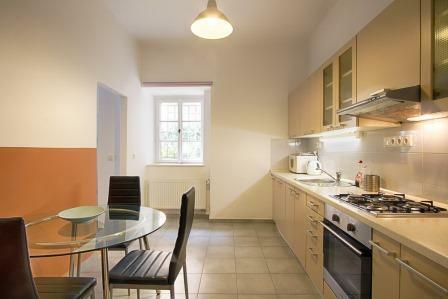 Apartments are in walking distance to Charles bridge and Old town square. Apartments for up to 7 persons. Plata and mecham are provided upon request. The closest and only little kosher store is 5 minutes walk. bread, butter, milk, cheese, jam, eggs, fruits, vegetables. Food under European Lemehadrin Hechsherim, bread local, under the Hashgacha of the Prague Rabbinate. Oil and vinegar kosher leMehadrin are always in the apartment itself. Products for kosher breakfast included, delivery between 8 and 9 am. On Friday for Shabbat and Sunday as well. Prague Jewish quarter is in historic center of Prague, so you can have nice walking tours during your free Shabbat time you can explore the Jewish city, go to Prague Old Town square, you can have a walk in Prague Old Town, or even to go to Charles bridge and Prague castle. Distance of the apartment to the old new synagogue is 300 meters. Check-in: 2 pm, check-out: 11 am. Luggage storing available at no supplement. Transfers from the air port and the train Station are Available. Early check-in and late check-out are subject of availability and at extra charge. Check-in-out fee 20 EUR for check-ins-outs between 5 pm and 9 am and between 2 pm Friday and 9 am Monday if transfers are not taken. This rule is valid excluding Sundays 9 am to 5 pm for clients arriving by their own car. 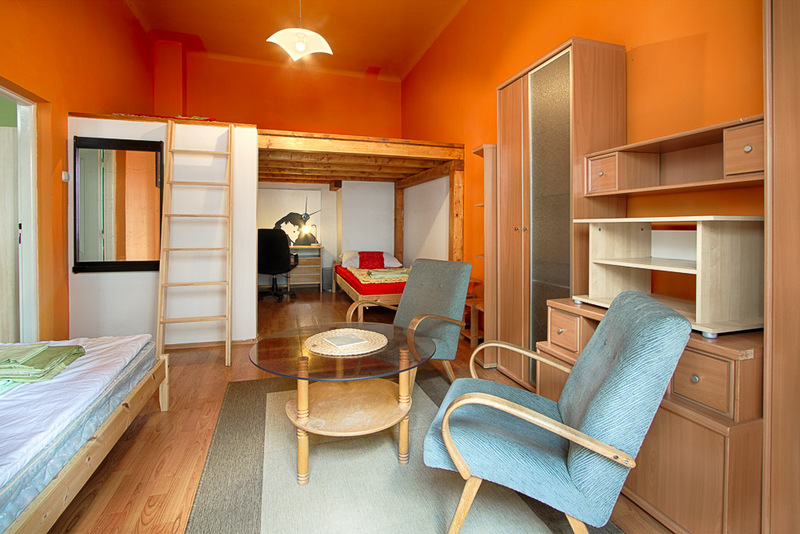 Kosher accommodation in private apartments for rent in a superb location in Jewish Prague-Josefov, located in the most exclusive central Jewish area. Kosher food supplied for breakfasts. Only 5 minutes walk to the synagogue and Kosher restaurants. All the most important Jewish sights are in the neighborhood. The location is totally in the city center. 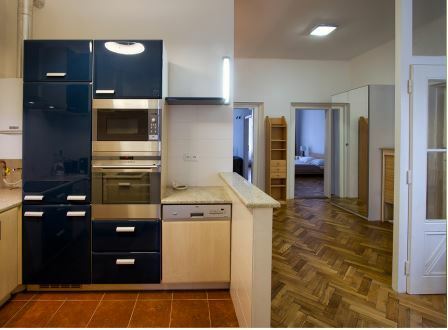 This accommodation is very good for families with children as they can use the kitchenette utensils and feel at home. The apartments provide plata and mecham upon request. Kosher food supplied for breakfasts. Only 5 minutes walk to the synagogue and Kosher restaurants. All the most important Jewish sights are in the neighborhood. The location is totally in the city center. This accommodation is very good for families with children as they can use the kitchenette utensils and feel at home. The apartments provide plata and mecham upon request. There are always towels and sheets in the apartments. The stove is a gas one. There is definitely a possibility to cook, even in a meat pot. The apartments are clean and nice. Kosher food for breakfast is supplied. The apartments are ideal for religious families as they have no automatic lights, no magnetic cards for opening doors, no automatic doors, glass plates and plastic dishes. bathroom with bath or shower or Jacuzzi and toilet. Two beds (with possibility of 1 extra bed). 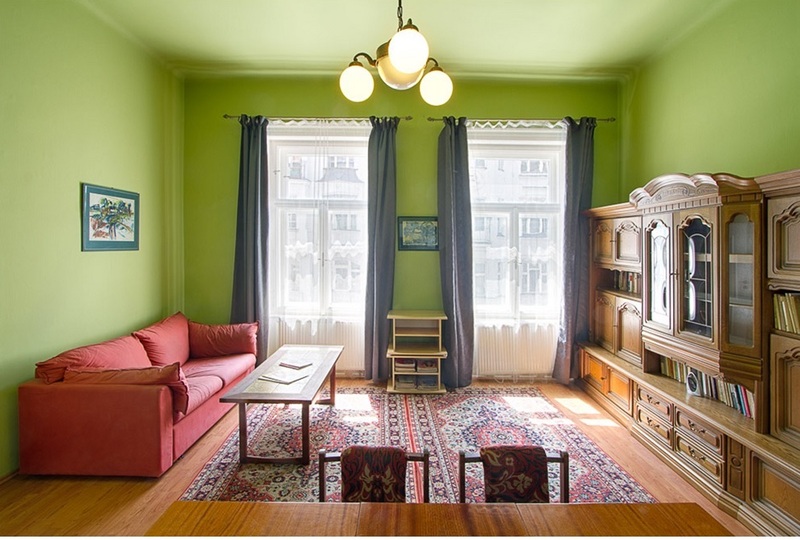 The Kosher Prague apartments are located within walking distance from the Old-new synagogue (3 minute walk) and all the major Jewish Prague tourist sights. If you want some kosher food, you can cook it by yourself at the apartment or walk a few meters to the Prague Kosher restaurants. 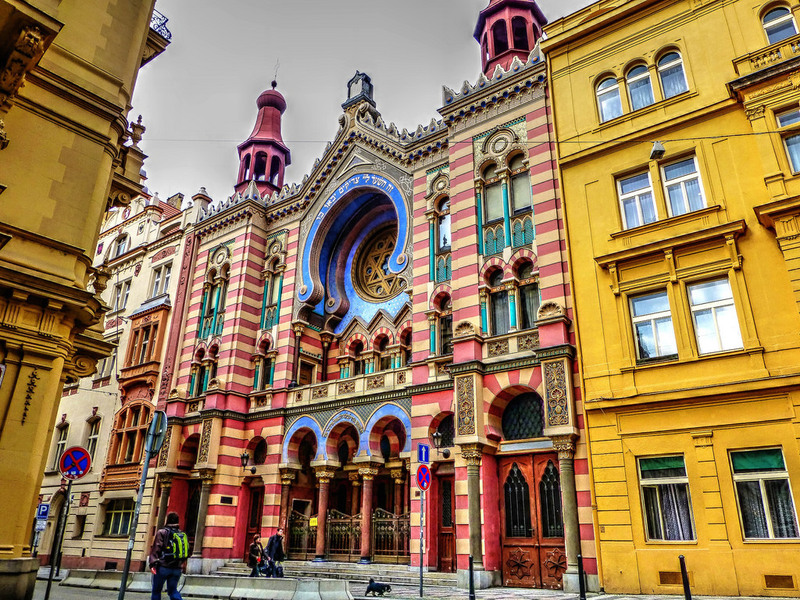 Jewish Prague tour includes a visit to the famous, more than seven hundred years old Old–New Synagogue and the other shuls today converted into the Jewish Museum displaying the renowned Precious Legacy at Jewish Prague. You will also visit the well-known Old Jewish Cemetery with the graves of rabbi Yehuda Leib ben Betzalel (the Maharal), rabbi Avigdor Kara, rabbi Ephraim Shlomo ben Aharon Luntschitz (the Keli Yakar), and rabbi Abraham Reuven ben Hoshke haKohen Katz (the Yalkut Reubeni). In addition to the Jewish Prague sites, you can also order a private (individual) tour to the second cemetery with the graves of rabbi Yekhezkel ben r. Yehuda haLevi Landau (the Noda Biyehuda) and his family, rabbi Elazar ben David Fleckeles (the Teshuva meAhava) and rabbi Shlomo Yehuda Rappoport. The general tour of Prague concentrates on the history of the non-Jewish part of Prague, but through Jewish eyes. You will see the beautiful exteriors of the Prague Castle, houses of the Lesser Town and also a sad story of the Hebrew inscription on the statue of Joshke at the Gothic Charles Bridge. Theresienstadt is a small Czech fortress town about a hour’s drive from Prague, was during the Shoah, converted into a concentration camp for Jews from many European countries. You will visit the museum, cemetery and also an example of great courage of the Jews, the secret synagogue. Carlsbad (Karlovy Vary) is a beautiful world famous spa resort about two hours drive from Prague. A place where in the past the greatest personalities recovered from their illnesses. Many of the big Rabbanim came here, such as the Admor from Munkacs, Admor from Viznitz, rabbi Mordechai Benneth and many others. Meat restaurant and oriental cuisine. Meat restaurant, and European Jewish cuisine. The Prague’s airport Vaclav Havel can be reached within 30 minutes by car. 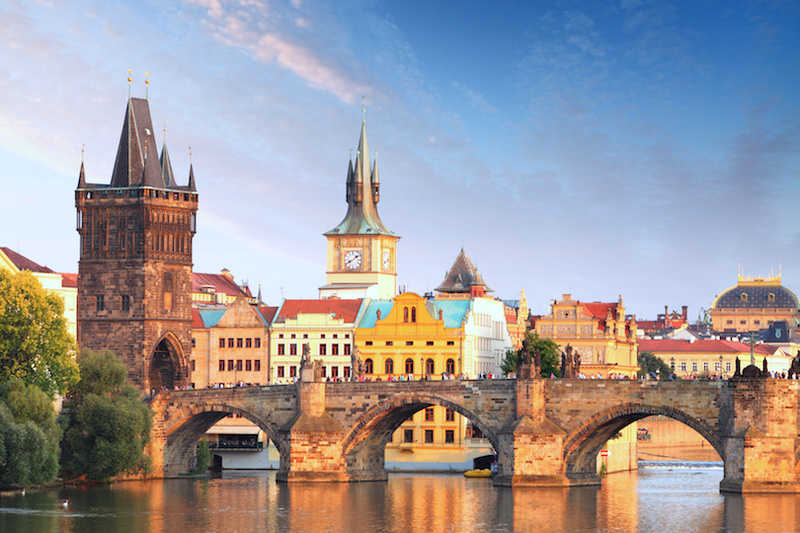 The flight from Israel to Prague is relatively short and very convenient and takes about 3 and a half hours. There is public transport at the Prague airport. You can go by bus to Dejvicka metro station (the end station). From there take the metro and go 3 stops to Staromestska station, this is the Jewish town of Prague. It takes about 40 minutes to arrive to the city center. There is also a minibus service at the Prague airport, after exiting the arrival hall you will see white Minivans. They are reasonably priced, but you will have to wait till they are fully loaded. The plus is the lower price, the minus is the waiting for full minibus and that the minibus goes to more places in Prague as there are also other people in the bus with you. So it can be time consuming. there is a car transportation service from Prague airport to the apartment and back. A driver will wait for you at the airport arrival hall with a sign with your name. It can take approx 30 minutes to the apartment. Price is 35 EUR/car/one way (up to 4 persons). If you would like to order a transfer, let us know when you make your booking.